The valiant red Poppy flies its crimson flag on this mug from Dunoon. The flower of remembrance is delicately painted in watercolour style by Harrison Ripley, accompanied by blue Lavender and Cornflowers. 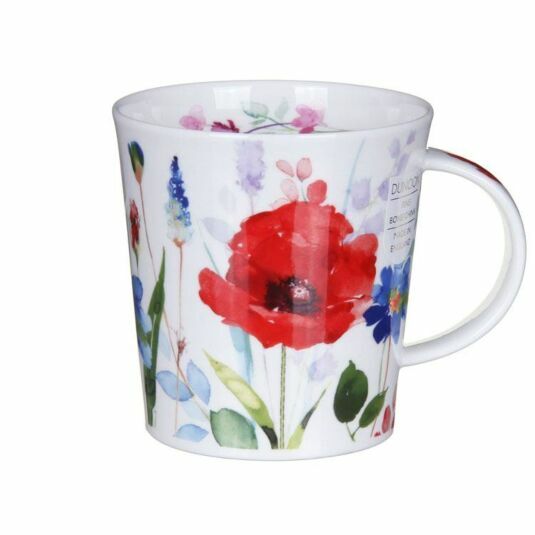 This lovely mug will bring the garden into your home all year round! Harrison Ripley is known for his floral and seascape designs. 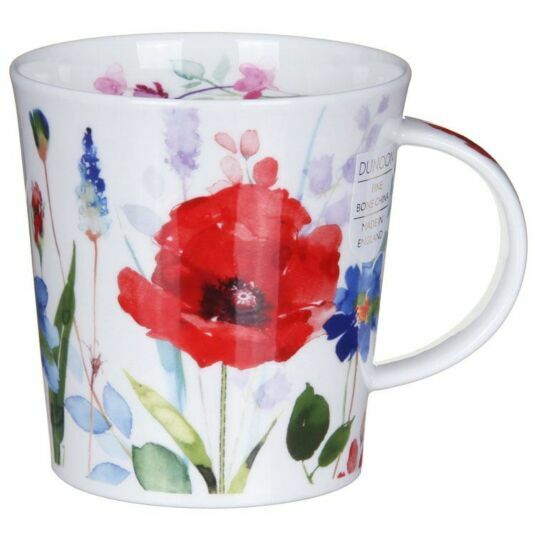 His images have been used on a variety of items including stationery and have translated beautifully onto the Dunoon mug. The elegant simplicity of the Lomond shape is the canvas for some of the boldest patterns and brightest designs Dunoon have ever launched. As with the Glencoe or Jura shapes, Dunoon have once again chosen to name a range after a quiet Scottish idyll, this time drawing inspiration from the beautiful Scottish loch renowned for its "bonnie bonnie banks". With a capacity of 320ml they are both dishwasher and microwave safe, with theexception of those featuring gold embellishment.